Amid the craze of the four major fashion weeks, this Sunday marks another significant event in the fashion world: the Emmys. Many of our favorite actresses will be stepping out in breathtaking gowns and accessories, and though we like to think of ourselves as patient folk, we couldn’t help but call upon Net-a-Porter senior buyer Holly Russell to predict what celebs like Claire Danes and Emilia Clarke will be wearing. Scroll down to see her predictions, and be sure to leave yours in the comments at the end. "As we all know, Amy Schumer has a big personality. I see her in an elegant but edgy dress like this cutaway Stella McCartney. The unexpected shape adds a bit of drama and freshness to an otherwise classic midi gown." "All eyes will be on Taraji P. Henson at this year’s red carpet. I’d love to see her in a modern dress like this one-shoulder Roland Mouret. The contrast draping will accentuate her shape, and she will definitely be a standout." "Christina Hendricks has the curves to pull off this gorgeous Oscar de la Renta, and the striking emerald green suits her complexion and fiery red hair perfectly." "Claire Danes is absolutely gorgeous and needs very little embellishment to look radiant on the red carpet. A simple shape like this Gucci gown with delicate detailing is sophisticated and classic, just like her." 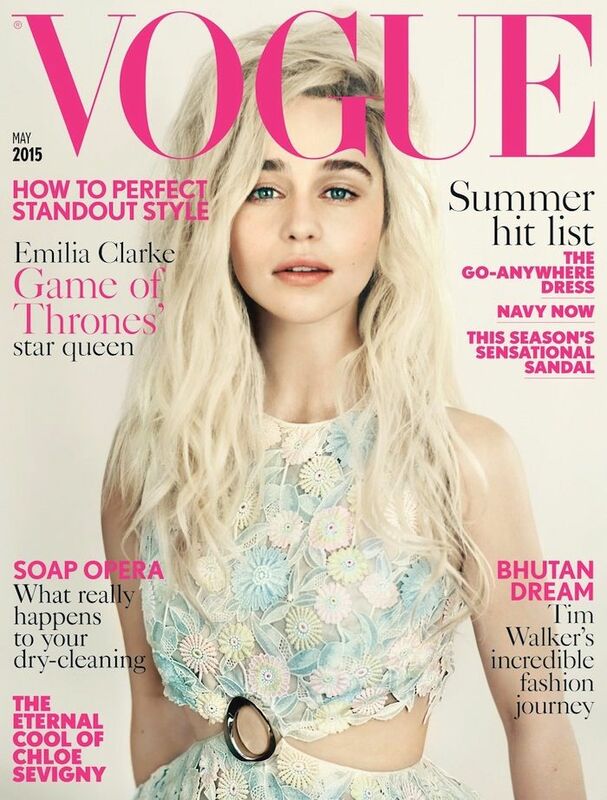 "If anyone can perfectly fit this whimsical Delpozo gown, it’s Emilia Clarke. Her fair complexion and dark hair complement the sky blue, and the voluminous tulle skirt only adds to the enchanting quality of the gown." "Julia Louis-Dreyfus looks great in fitted styles, and Stella McCartney is known for her exceptional fit. A fluid dress like this bright blue would accentuate Julia’s hourglass shape without overpowering her petite frame." "Julie Bowen likes to experiment with her red carpet looks. There isn’t one shape or color that she sticks with, but she always looks graceful and sophisticated. I absolutely see her in this Michael Kors Grecian-inspired gown, with subtle cutouts and soft pleats." "Robin Wright is the picture of elegance on any red carpet. She tends to stick with monochrome gowns and can pull off a high neck beautifully with her statuesque figure. She would look striking in this glamorous Alessandra Rich gown with pearl detailing." "Viola Davis looks great in color and in a dress that shows off her beautifully sculpted shoulders and arms. I’d love to see her in a brilliant dress such as this strapless Alexander McQueen in deep plum." Which dress do you love most? Tell us in the comments below!